An unsettling, reconfigured concept of the body, helpless yet contorted, takes centre stage in Berlinde de Bruyckere’s faceless sculptures. Abject deformation is turned into beauty as if the artist is trying to wrestle a shape from abstract form. 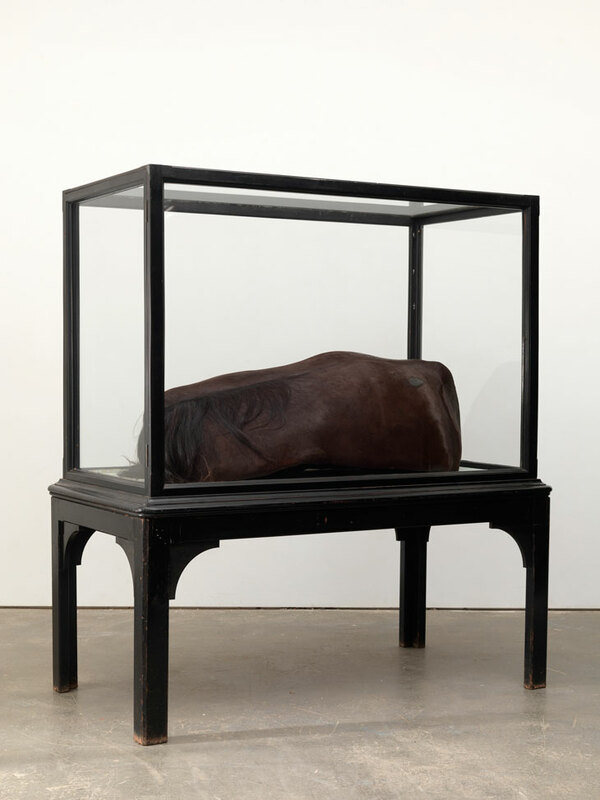 That each body, whether human or equine, stands on a plinth or inside a cabinet, as if posing for the viewer, emphasises their monumentalised objecthood and the tension between what these objects represent and what they actually are. De Bruyckere began making work around ideas of the human figure in the early 1990s, first through its absence, stacking and draping woollen blankets on furniture, symbolising shelter and vulnerability. Then she added bodies made of wax, almost completely covered in wool; imperfect, sexless and headless.